In this age of Light and fire, simple skills still endure. Hunters embroider signs of war and loss on their cloaks. 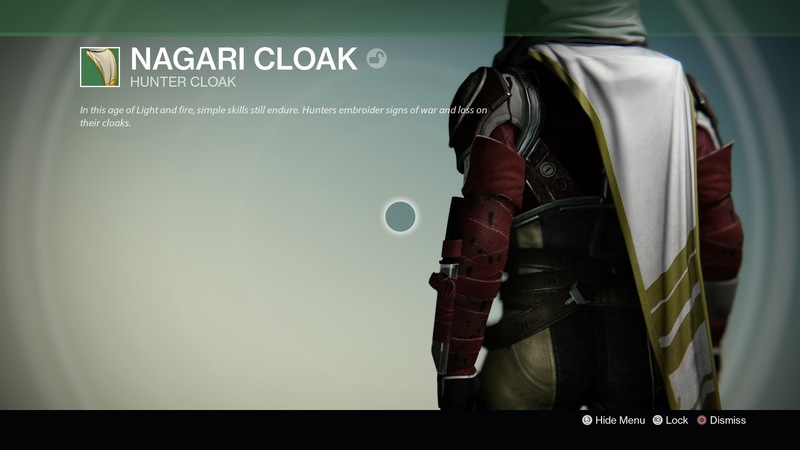 Obtained: Hunters level 15 and above can obtain this cloak by purchasing Encrypted Engrams (green) from Master Rahool.